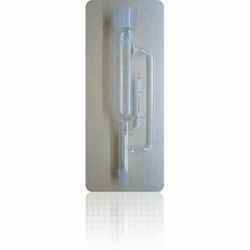 We are a leading Manufacturer of soxhlet extractor from Vadodara, India. Soxhlet Extractor is a piece of laboratory equipment that is used when the compound has restricted solubility in a particular solvent. These are manufactured from quality raw materials to ensure high bearing capacity to handle heat, cracks and chemicals. We are popular name in the domestic market owing to salient features of our product.